This is Fender Marine Construction’s first MSE (Mechanically Stabilized Earthen) wall. 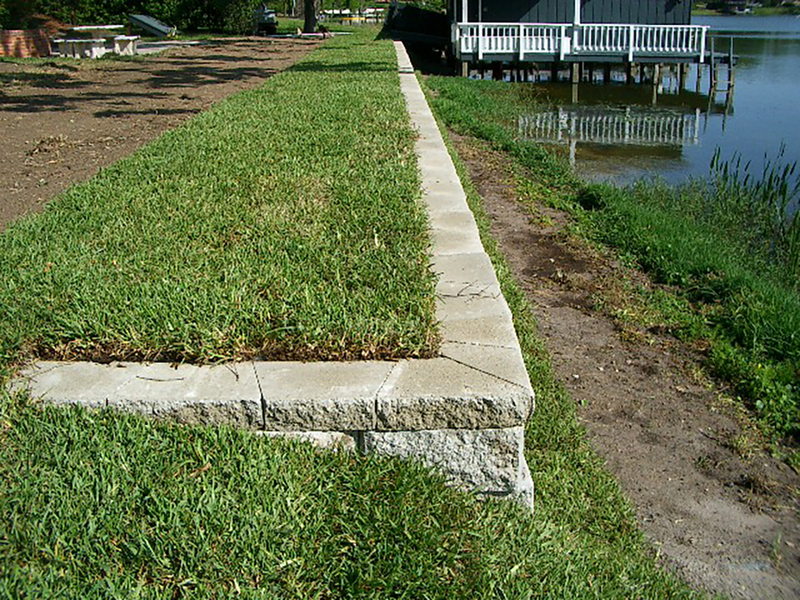 This masonry seawall is located on the Winter Park Chain of Lakes but is far enough upland to not be affected by the scour of heavy storms. 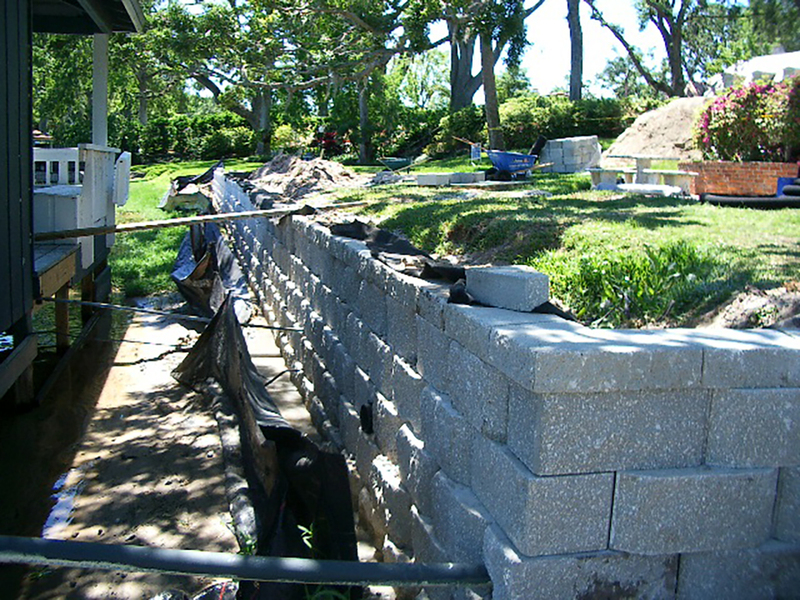 The retaining wall in this case is tied back with Tensar geogrid. The groundwater behind the retaining wall is handled by means of a French drain that collects the water behind the wall with the water flowing through the wall inside small storm lines which pass through the wall. 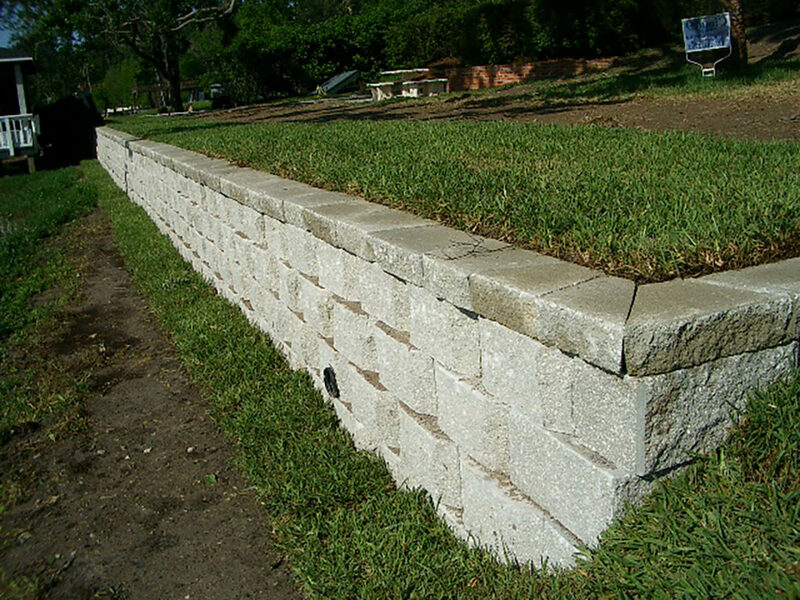 The MSE retaining walls are popular because they do not require maintenance as they are masonry and do not need painting. In fact, the Anchor brand of MSE walls as well as others come in several colors where the concrete is actually the same color though and through. These are some really great retaining walls.